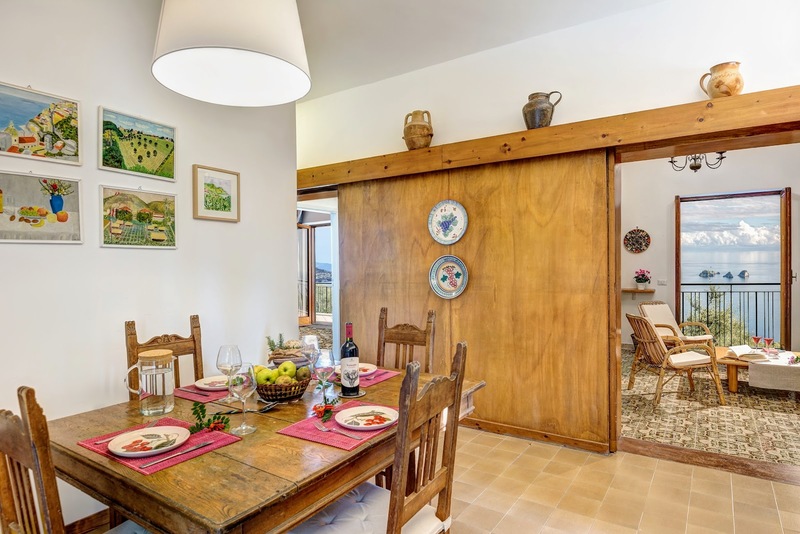 Casa Elisa is a bright, spacious apartment for six people, with three bedrooms, two bathrooms, a balcony for outdoor meals and a garden set in between olive groves which offers a comfortable, private space for admiring the beautiful view. 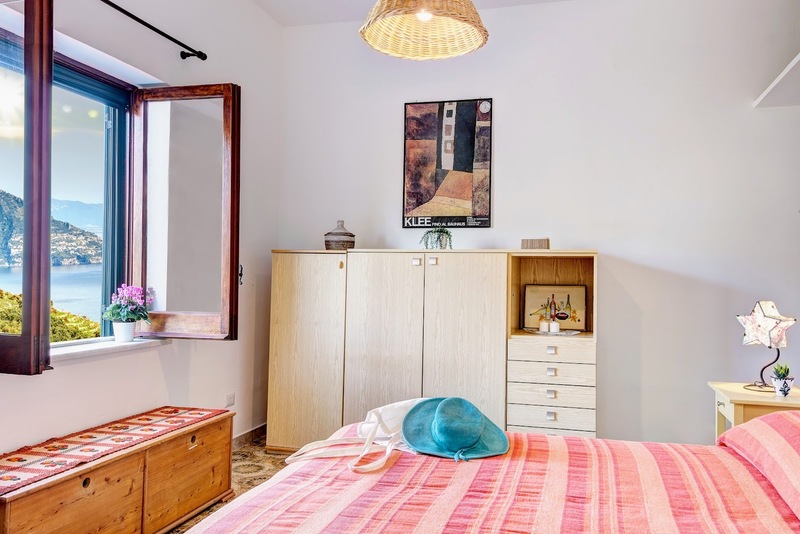 The apartment has a long, narrow balcony which is accessible both from the living room and from the master bedroom and has a small table, chairs and a sunbed, perfect for relaxing or for eating while enjoying the view. In the summer, guests can also relax in the shaded area of the garden, in front of the house. 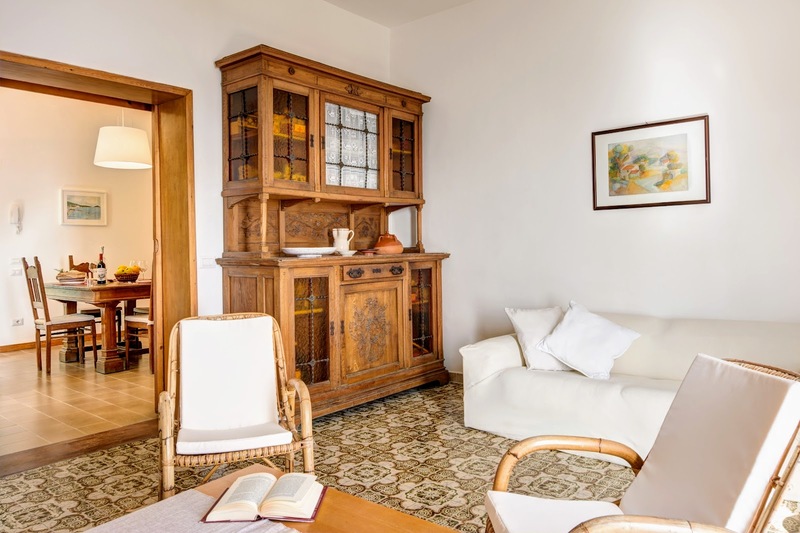 Casa Elisa has a mixture of modern and retro furniture. 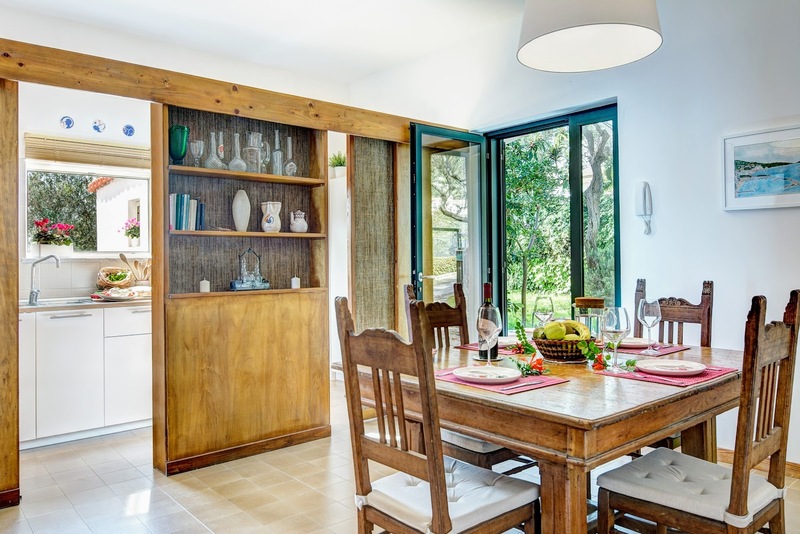 The main entrance leads both to the living room which is full of light, with a TV and access to the balcony, and to the dining room, divided by wooden sliding doors. 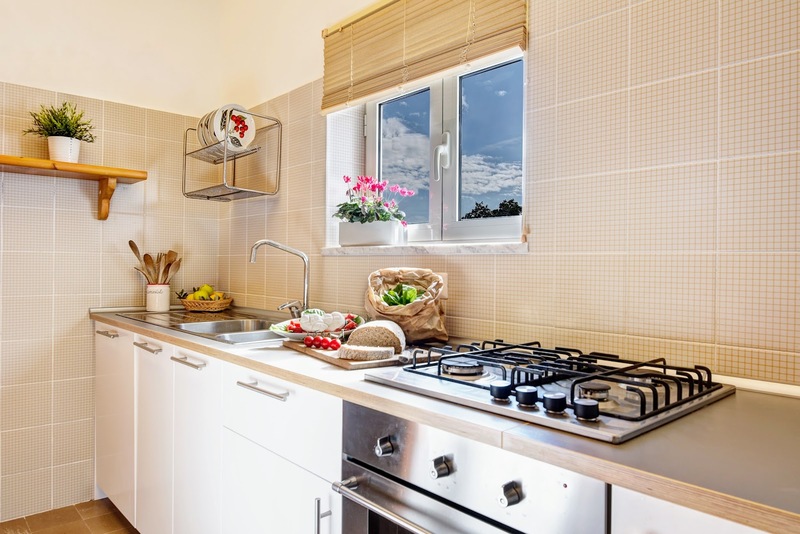 The kitchen is modern and well-equipped. 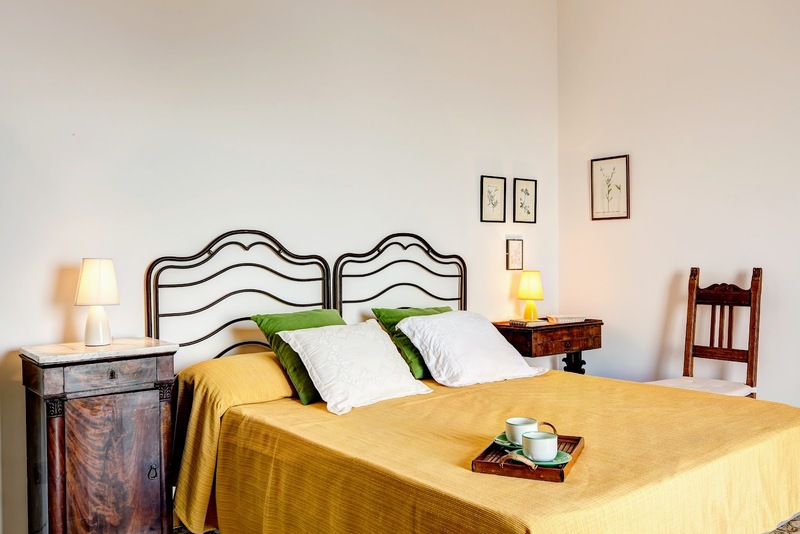 The three bedrooms, two doubles and one with two single beds, have simple, comfortable furniture. 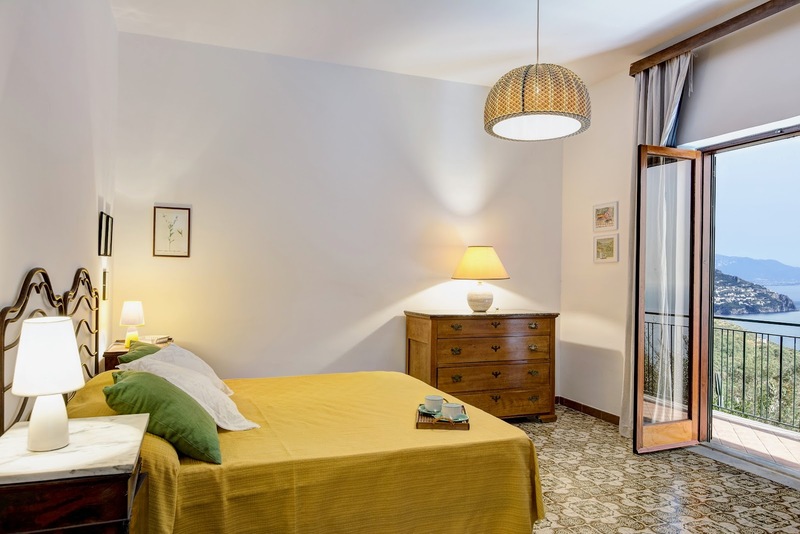 The largest bedroom has access to the sunlit terrace, the second room boasts a beautiful view with Positano in the background and the room with two beds overlooks the garden. 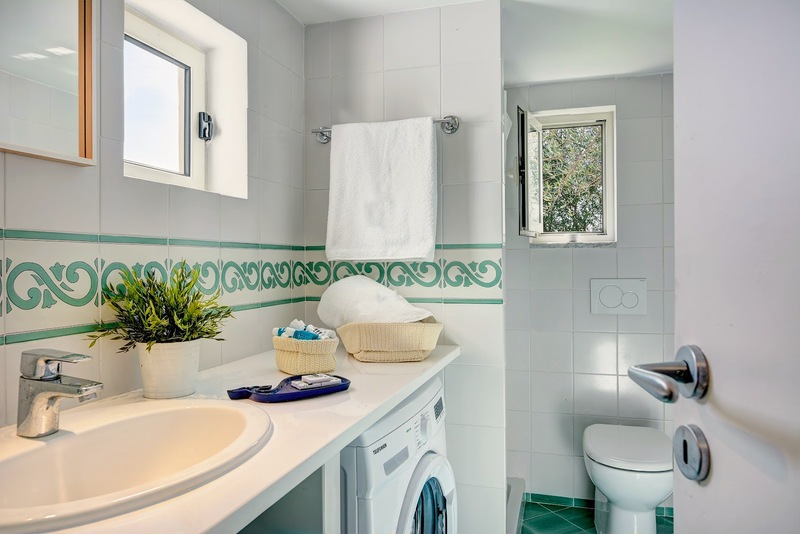 The two bathrooms are also modern and bright, both with shower, one of which with a washing machine, iron and ironing board. 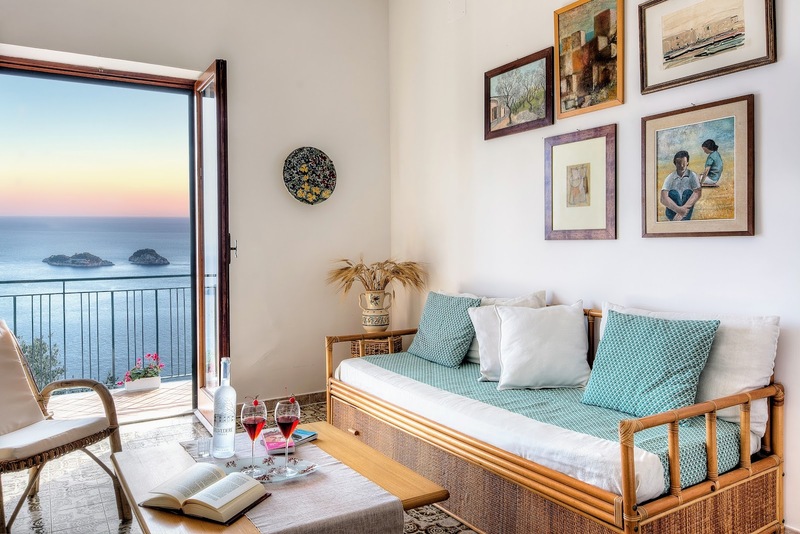 Casa Elisa is on the Torca hill, with a breathtaking view overlooking the Galli Isles and Positano as well the Amalfi coastline and Cilento. The house has Wi-Fi and secure parking for up to two (small) cars. 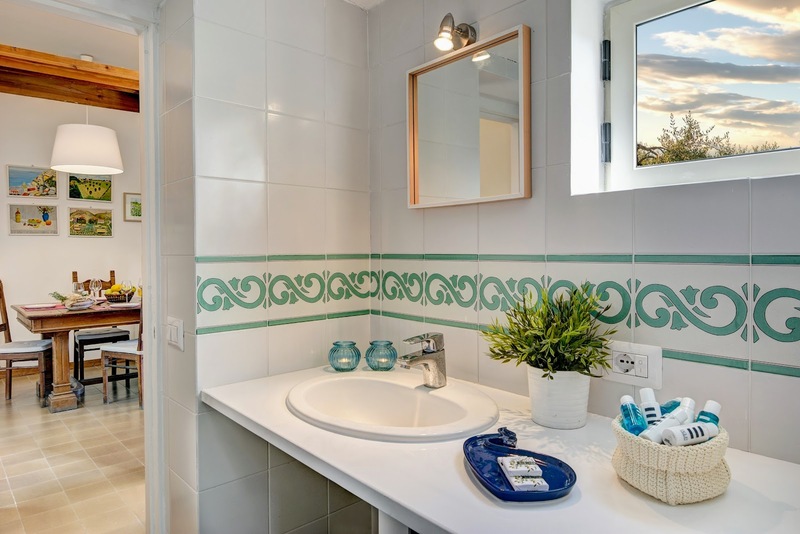 The price includes: bathroom and bedroom linen (with weekly change), internet, water, gas and electricity consumptions, parking. Upon request and to be paid for on location are: dinners, a cook hired help and baby sitter. Arrival time is between 3 pm and 7 pm (after 9 pm a fee of 30 Euros is required). Any late arrivals have to be agreed upon in advance. The 50m of road before arriving to the house are steep and narrow. For arriving with ease, or for those not used to driving on narrow roads, we recommend a medium to small car. If you wish to use a larger car, please say so when booking. 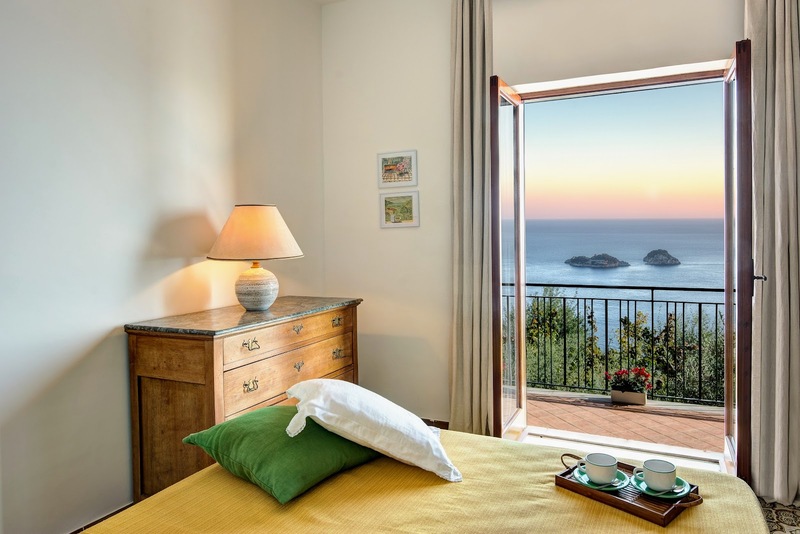 The house is in an ideal location for visiting the Punta Campanella National Park, a protected marine area. 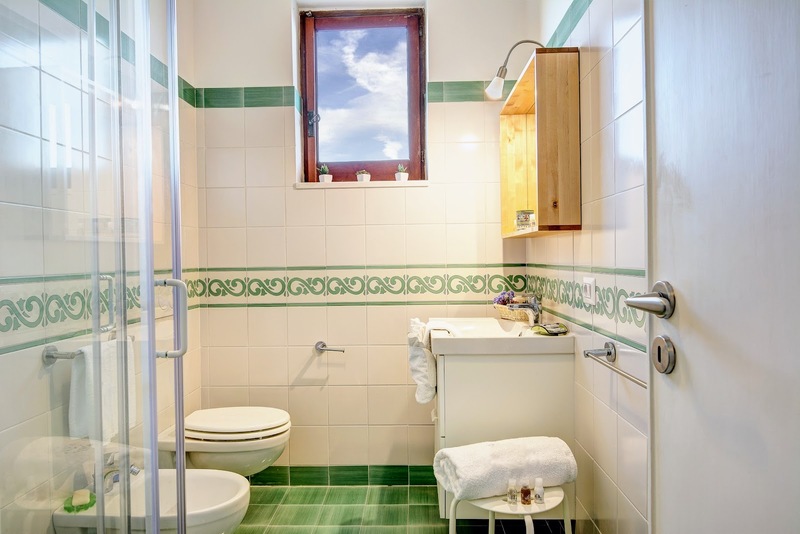 The beach of Marina di Cantone is a few kilometres away, as are Sorrento and Sant’Agata. 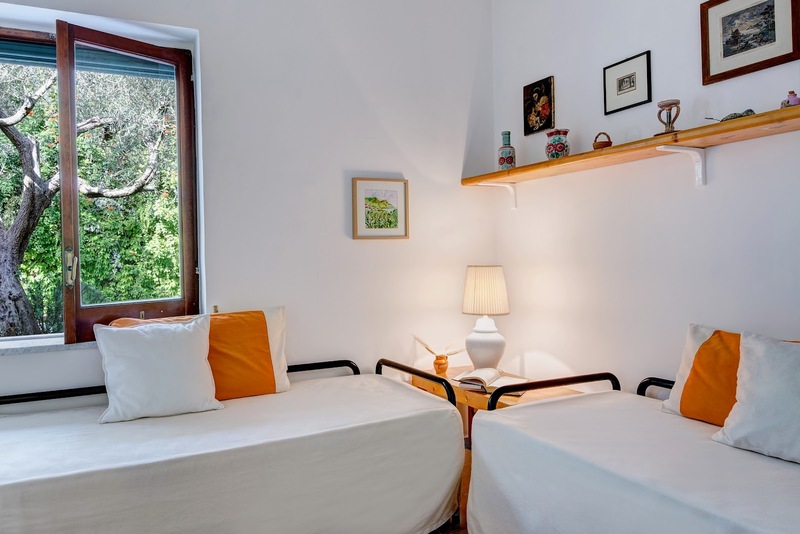 At less than 1 km you will find Torca which has a food shop, a restaurant and a bus stop. 3 km Sant’Agata sui due Golfi, 9 km Massa Lubrense, 14 km Sorrento, 18 km Positano, 32 km Amalfi, 60 km Naples. Great place with a gorgeous view. The road that gets you to the apartment is curvy and narrow especially last part that is very steep and challenging. But once you get into the apartment and see in picturesque view from the very entrance you can easily forget about getting there. The apartment just makes you don't want to leave.